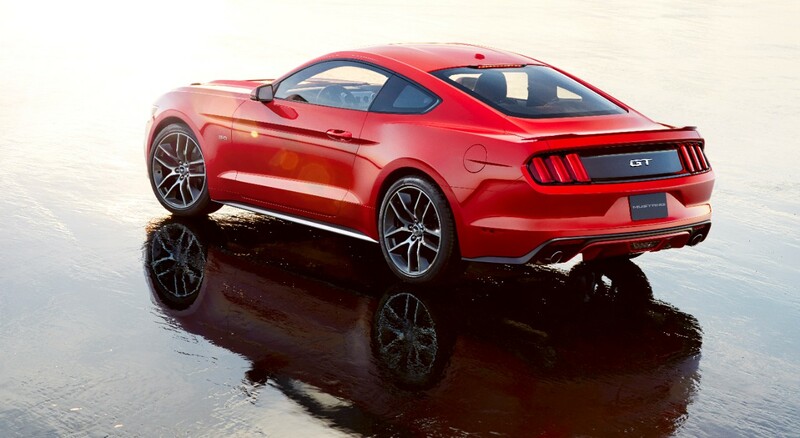 The 2015 Ford Mustang is a thing of beauty. When you buy a Ford Mustang, you’re not exactly considering the fuel efficiency or the good it will do for the environment. Bets are, you’re more focused on the flashy style and muscle car performance. Ford recently announced, however, that the 2015 Ford Mustang might go green—and we’re not talking just paint color. At the 2015 Ford Mustang’s recent unveiling, Bob Fascetti, the Ford global powertrain chief, announced that the newest member of the Mustang family might go diesel, hybrid, or even electric. Keeping the specifics under wrap, Fascetti made it clear that improving the ‘Stang’s fuel economy was a priority and any available option that could help accomplish that goal was a possibility. He was also mum on the topic of the 2015 Mustang’s transmission—would it be the traditional six-speed? Or would it be the new nine- or ten-speed Ford developed with General Motors? While the big reveal of the 2015 Ford Mustang has left us with plenty of questions, there’s no denying that the anticipation for the newest muscle car is growing. And who knows? Maybe in a few years, car enthusiasts everywhere will be bragging about their awesome muscle car’s mpg, not its horsepower.